A conference featuring Prof. Gerard Wegemer (University of Dallas), Prof. J. Budziszewski (University of Texas, Austin), Prof. Gladden Pappin (University of Dallas) and Prof. Sarah Byers (Boston College). Panelists: Fr. 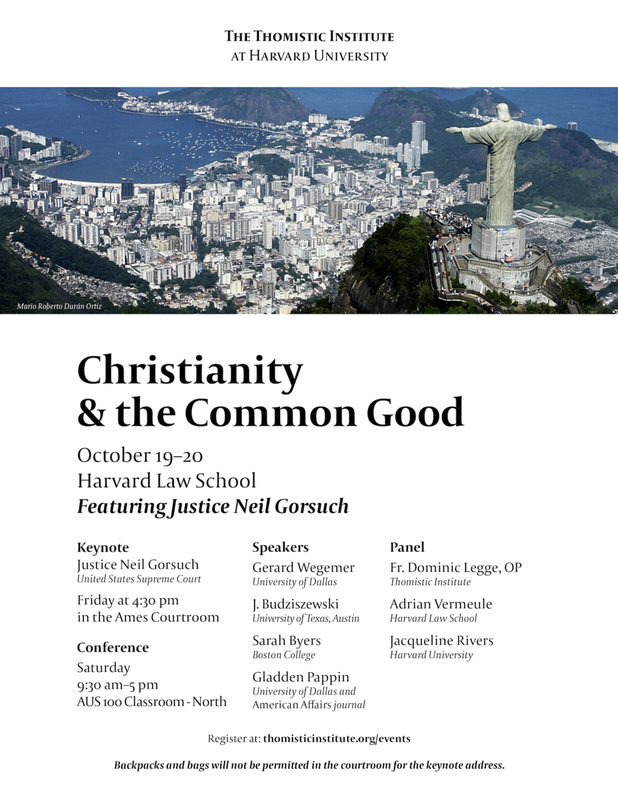 Dominic Legge, OP (Pontifical Faculty of the Immaculate Conception and the Thomistic Institute), Prof. Jacqueline Rivers (Harvard University) and Prof. Adrian Vermeule (Harvard Law School). No backpacks or bags are permitted in the courtroom for the keynote address. 6:00 pm - Reception with Justice Gorsuch for conference registrants. 4:15 pm - Panel featuring Fr. Dominic Legge, OP, Prof. Adrian Vermeule, and Prof. Jacqueline Rivers.